Riders cross the bridge heading out of Echo to begin the fifth annual Red 2 Red Cycle Race. 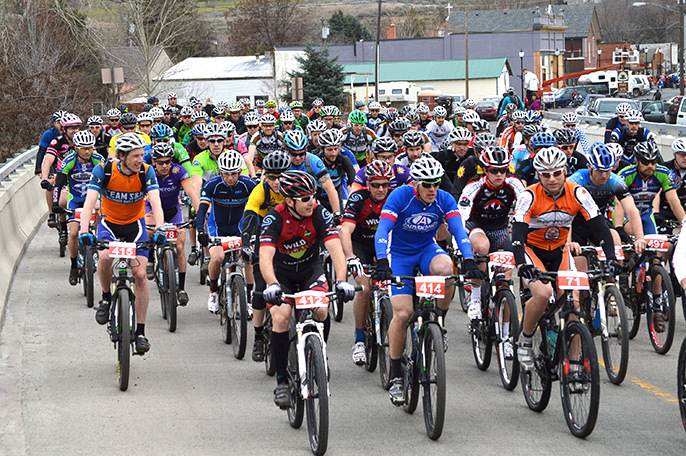 Echo’s population of about 715 jumped by 75 percent over the weekend of March 1-3 as more than 500 bicyclists converged onto the small Eastern Oregon town to compete in the fifth annual Red 2 Red Cycle Race. The race, part of the Oregon Bicycle Racing Association, was the first Oregon XC Series event of the 2013 season. The Red 2 Red has grown significantly from its inception in 2009 when 175 racers competed. The official count for Saturday’s race was entries. Competitors, 539 in total, came from all over the Northwest. Some are professional races while others, like Portland’s Jered Bogli, competed for the first time. Bogli said he had no visions of grandeur in anticipation of his inaugural race. “I’m just here to ride and enjoy the experience,” he said. A couple other first-timers were Griffin Heredia of Camas, Wash., and Brady Stotts of Washougal, Wash., both 13. Griffin, who would be riding in the 13-mile distance for juniors and open beginners, said the race would be the farthest he’s ever raced. Among experienced racers in Echo on Saturday was Michelle Kunec of Portland. She said she competes in about 20 races a year. This was her second time taking part in the Red 2 Red and said she enjoys her time in Echo. The 31-year-old finished 16th in the Category 2 division for women 19-39 with a time of just over 3 hours. A couple other veteran racers made a lengthy trek to Echo for Saturday’s event. Mike Rolcik and Cosmic Miller, both of the Seattle area, returned to Echo after competing in the event last year. “I don’t normally drive this far to take part in a race, but the weather here is great,” Rolcik said, 44, who finished seventh with a time of just over 2:16 in the 30-mile Category 1 division for men ages 40-49. “You know why I came here,” asked Miller. “It ain’t raining!” Miller added that the Red 2 Red also offers something he can’t find in races closer to home. 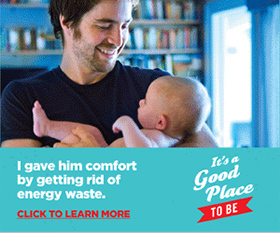 “Echo has a great small-town ambience,” he said.